Following Japanese rumors earlier this month that Olympus was being coerced into selling off its imaging business by an American investment firm, Takeo Takeuchi, who will be appointed President on 01 April, made an official statement confirming the company's commitment to its camera division. "The image technology we have cultivated for about 70 years is also effective in other fields," Takeuchi told SankeiBiz (via 43 Rumors). "We know that production know-how such as cameras will be useful for expanding mass-produced therapeutic equipment." This, of course has long been the company's strategy with regard to its imaging business. Olympus is, first and foremost, a medical technology company, making the lion's share of its earnings from its microscope and endoscope expertise. The medical division has a symbiotic relationship with the imaging division, which in many ways acts as an R&D resource in its production of optics and optical technologies. 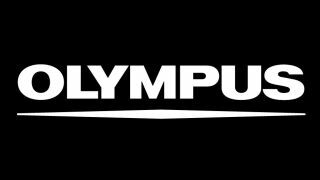 So, while in terms of the much smaller photographic industry, some may question the value of Olympus' camera division, in terms of the company as a whole it is a critical part of the business. So why, then, did rumors surface about the company being pressured into selling off its imaging arm? It started with a report in the Japanese Business Journal, following Olympus' decision to give a seat on the board to D Robert Hale – a partner in Californian firm ValueAct Capital, which is Olympus' largest shareholder with 5.4% of the company. ValueAct's results-driven ethos, combined with the fact that an American was being made a director, led to market speculation that the company would undergo a cultural restructure resulting in the less profitable imaging business being sold off. While the company is indeed undergoing "a comprehensive transformation program", with Takeuchi and Hale's appointments being part of that process, culling its camera division is not part of the plan. Both Olympus Spain and Olympus Russia moved to debunk the rumors, but this confirmation from the head of the company makes the point clear once and for all. "It is rare for investors to enter management team in Japan, but it is commonplace in the US. Different findings may increase the effectiveness of the board of directors," Takeuchi stated. Noting that ValueAct is a "shy shareholder", the incoming President added that the newly structured Olympus "will be a truly global sustainable Medtech (medical / technology) company".